The main purpose of "Pizzicato" online ordering platform is delivery home-based food through intuitive design and a user-friendly command system, two aspects who have a particular importance in user's navigation experience. The platform is optimized for search engines and the latest SEO specifications to provide a user-friendly experience and get a better ranking on Google. The offer system is configured to change promotional banners according the day and time of display. All the offers appear on the platform automatically and can be displayed within the range of hours the customer wants. XFactorApp provides maintenance services and implements the new features required by the customer for online "Pizzicato" ordering website​. The platform is developed in "Python", one of the programming languages ​​we excel in. 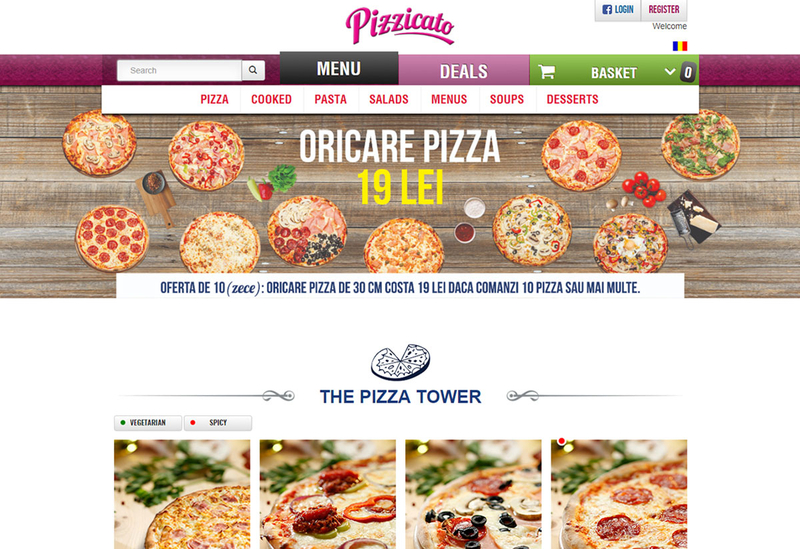 "Pizzicato" is one of the most important and famous restaurants in Bucharest that offers home delivery food. High-quality services and, last but not least, tasty dishes put them among the first in preferences of customers who order home delivery food.